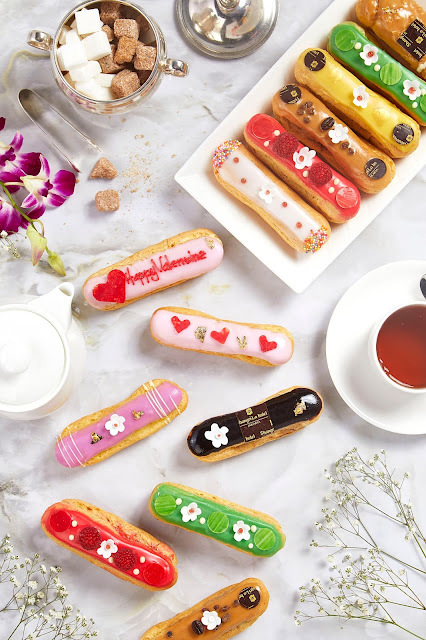 Shangri-La Hotel, Jakarta offers glorious moments for those who want to celebrate a romantic and enchanting Valentine’s Day. Guests can impress their loved ones with exceptional dining experiences at Rosso and Lobby Lounge. Couples can set the romantic evening at Rosso with the restaurant’s Luce Romantica five-course set menu. Guests can savour dishes ranging from; Thinly-sliced Marinated Salmon Fillet drizzled with Citrus Vinaigrette and Rocket Salad, Asparagus and Parmesan Soup, Home made Jumbo Ravioli filled with Crabmeat in Creamy Basil Pesto Sauce, Tiger Prawns in Parmesan Crust served with Eggplants Cake and Beef Cheek with Porcini Mushroom, Sautéed Parmesan Spinach, Panna cotta & Tiramisu, especially made by our Italian Chef, Gianfranco Pirrone. To conclude the romantic dining experience, couples will be complimented with a glass of champagne while listening to the enchanting live music performance. This exquisite set menu is available at Rp 1,598,000++ per couple. Guests can enjoy a relaxed yet elegant Valentine ambience at the hotel’s Lobby Lounge, facing lush garden scenery while enjoying a range of delicacies from the Valentine High Tea Set. This year, a series of deluxe éclair is offered to sweeten up the celebration. 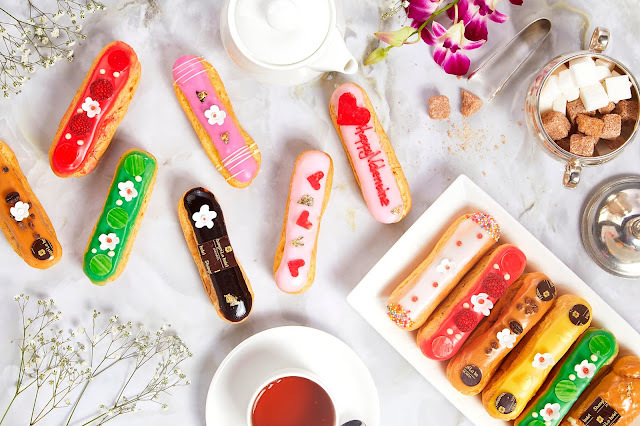 The Valentine High Tea is available on Valentine’s Day from 3 to 6 p.m. for Rp185,000++ per set. For more info, please call (021) 2922 9999, the website shangri-la.com.